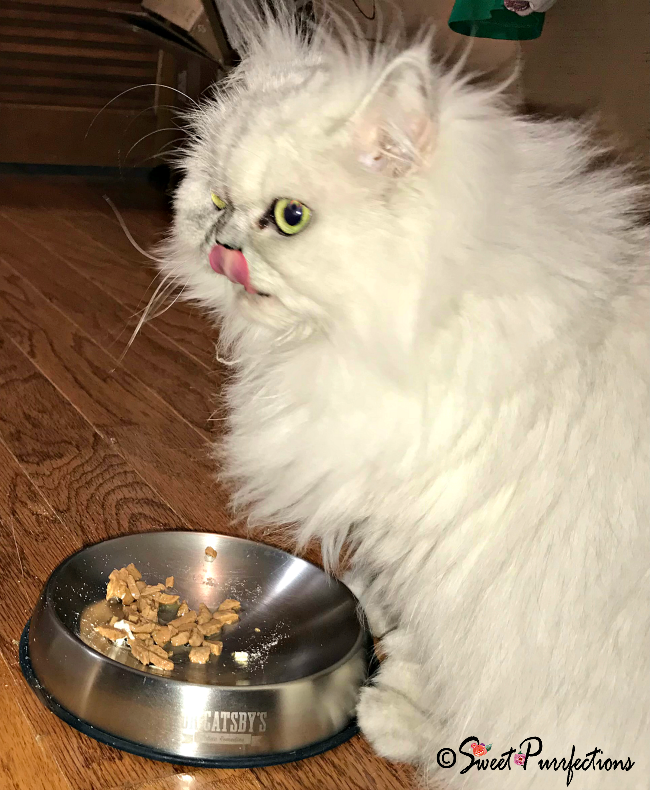 It's nice to see Truffle with her tongue out enjoying her prescription cat food. She's getting better and better with eating her food. We must get the pH down and this is the best way to do it. I'm glad she is finally adjusting to it! Good girl sweetie, keep chowing down please! Glad she's starting to eat it more. I'm glad she's adjusting to her new food. Hopefully, her pH comes down soon! Truffle, the food is good for you. You're doing a great job learning to like it. I went through the same thing with Puck. He only liked one specific flavor of the prescription food. Glad you’re eating your food, Truffle. Way to go, Truffle! You are adorable, and we're glad you're eating that food that's good for ya! You're adorable, Truffles! Hope you get better soon!